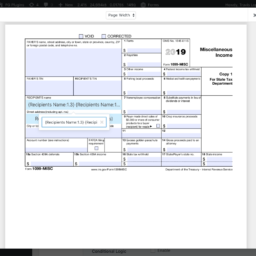 Fillable PDFs makes generating forms and PDF files a breeze. Generated PDFs are stored locally. No data is retained by ForGravity. 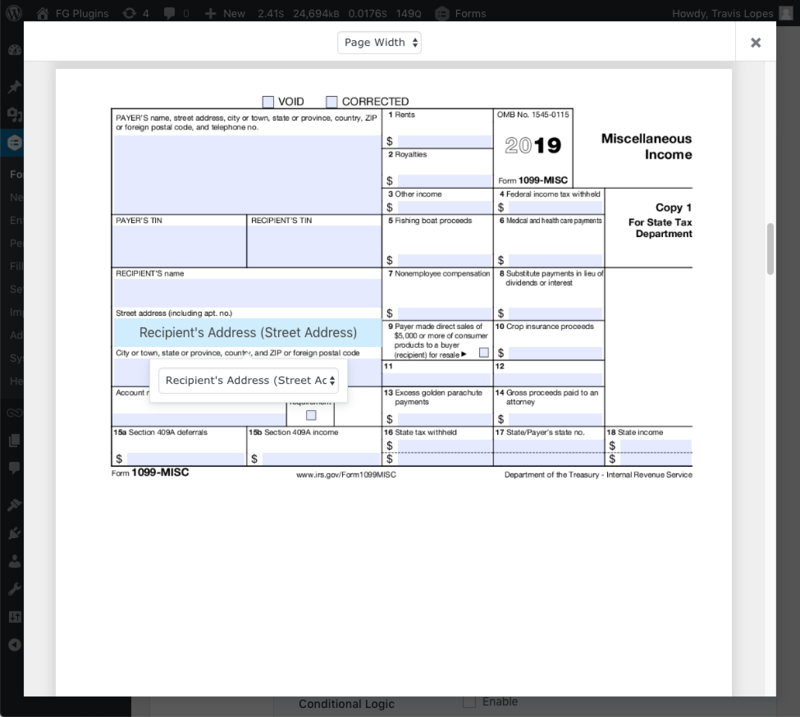 Create a new form using an imported PDF and export filled-out PDFs in no time. 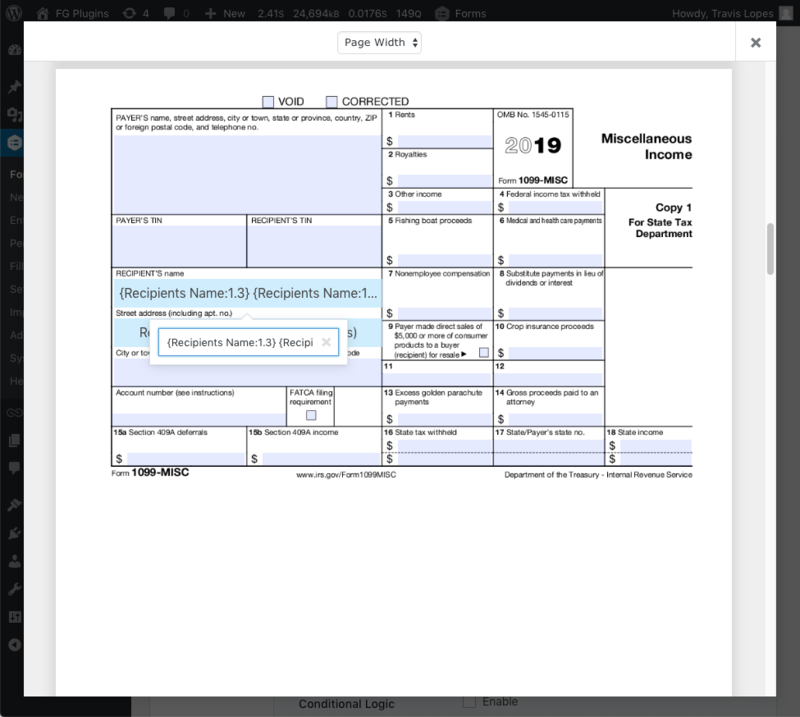 With the new visual mapper, setting up PDF generation is as simple as clicking on your PDF field and selecting the Gravity Forms field to populate it from. Insert digital signatures and other images uploaded to your Gravity Forms form directly into your PDF fields. ​Use merge tags to populate PDF fields with values from multiple form fields or entry meta data. 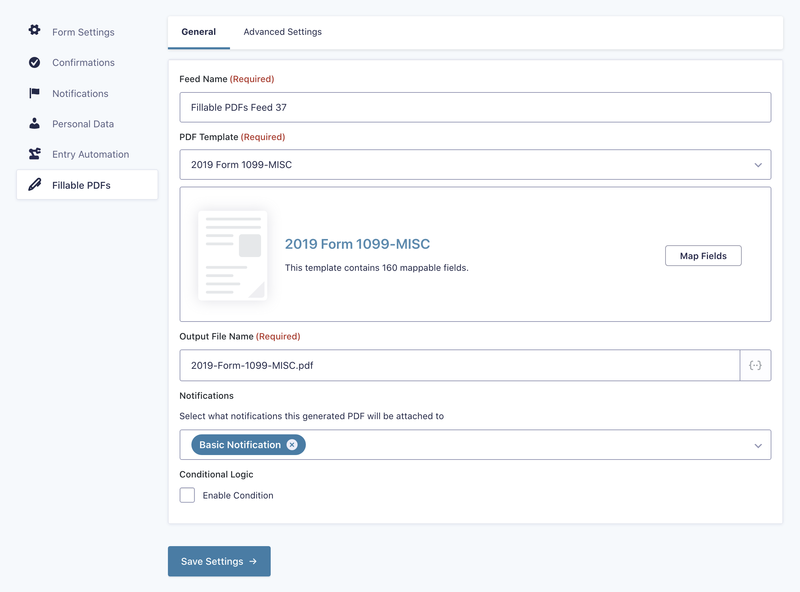 Kickstart your form creation by using our import tool that detects your PDF fields and converts them into a Gravity Forms form. 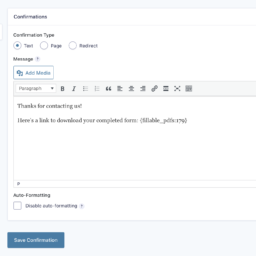 Send generated PDFs without having to create brand new emails by attaching them to your existing Gravity Forms notifications. Allow users to easily download their customized PDF by providing a link using readily available merge tags. 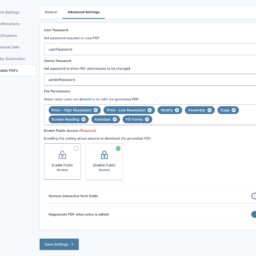 Prevent unwanted users from accessing generated PDFs by setting a password to open the generated file. Set who can download generated PDFs (anyone, anyone with secret key, form submitter) and what they can do with the file. 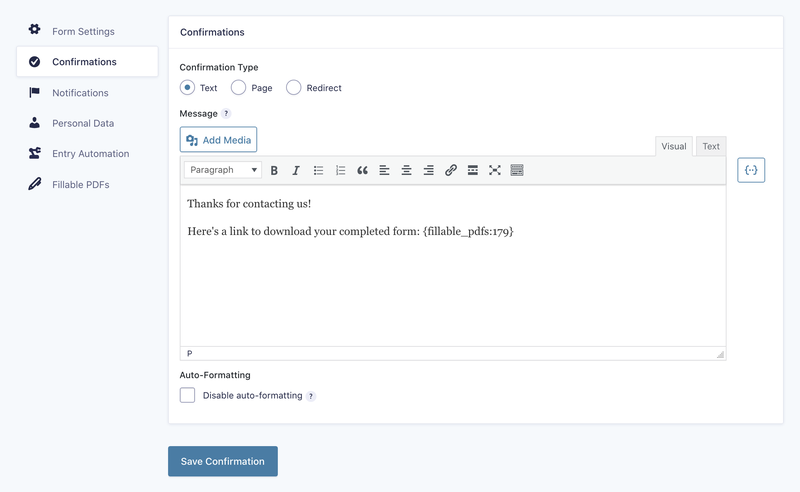 Fillable PDFs is powered by the ForGravity cloud, with all form submission data sent securely and instantly destroyed after PDF generation. Need more PDFs than your plan allows? 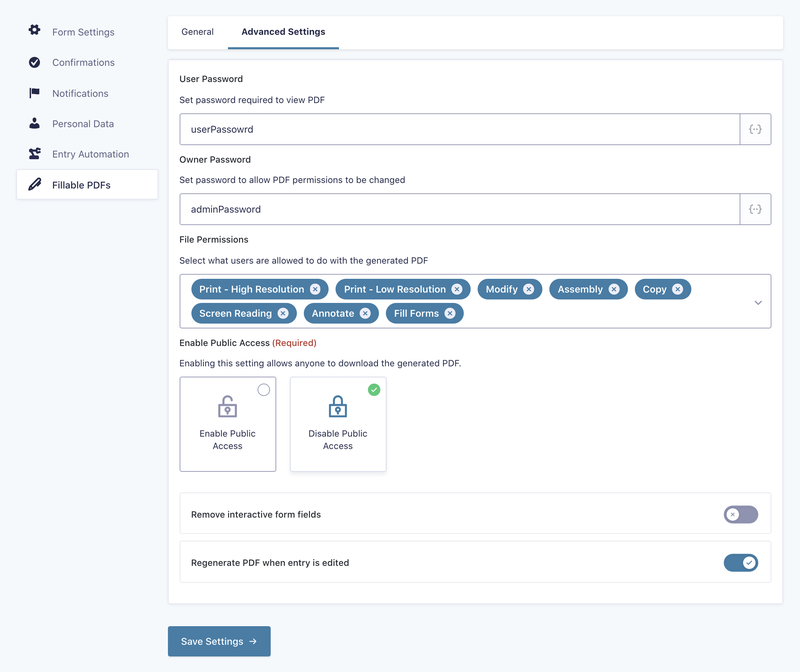 Enable Pay As You Go to ensure your PDFs always get generated, even when go over your monthly limit. Take advantage of Gravity Forms powerful, in-depth conditional logic to only generate PDFs that match your specific rules. Not sure which tier is right for you? Upgrade anytime for just the difference in price! We also offer a starter plan (up to 100 PDFs, 9¢ per PDF above limit, $9/month). What if I go over my monthly PDF allowance? 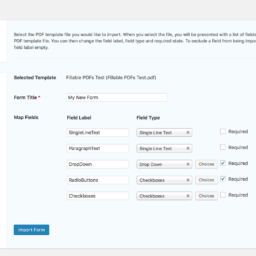 Fillable PDFs offers a Pay As You Go feature that allows you to generate more PDFs than your monthly limit. Any PDFs you generate over your limit will be charged at your license tier's per PDF rate at the time of renewal. Pay As You Go is an opt-in feature enabled from your account area. How do you count PDFs? Each PDF is equal to one PDF generated upon form submission. 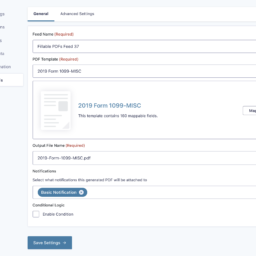 In other words, if you have 50 form submissions one on of your forms and you 2 PDFs setup for the form, you've used 100 PDFs. What do I need to use Fillable PDFs? 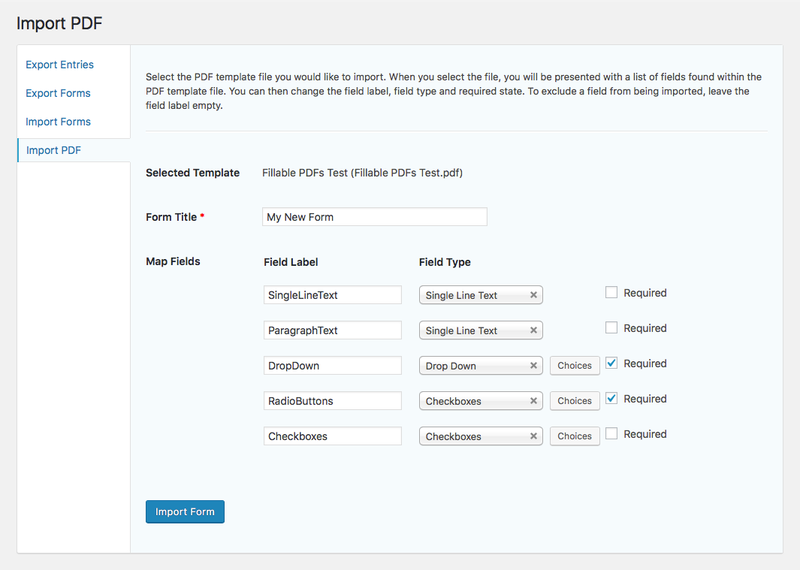 Fillable PDFs requires PHP 5.6+, the latest version of WordPress and the latest version of Gravity Forms. Fix merge tag not being replaced when no PDFs are found for feed. Fix entry meta not appearing in PDF field values. Fix Gravity Flow step not loading properly. Add support for attaching PDFs when resending notifications. Add support for monthly overages. Fix incorrect add new template link after deleting a template.